As a part of "Be Heady's 1,000,000 Tree Planting Project" with Trees, Water, & People; We have brainstormed a set of 23 STARSEEDS to continue using music to help restore the world. Each instrument will be an integral Key in the reforesting of 4200 Trees in El Porvenir, Santa Ana, El Salvador; in Honor of My Late Father: Bob Buehler! This nursery provides institutions and communities with an assortment of tree species, and in 2011 produced more than 40,000 seedlings distributed to more than 35 local communities. These trees provide families and communities with a source of nutrition, income, firewood, animal habitat, and protect the soil against erosion. Trees, Water & People's mission is to improve people's lives by helping communities protect, conserve, and manage the natural resources upon which their long-term well-being depends. After driving non-stop from the 2012 Tucson Gem Show in Arizona to Colorado, than East to Philadelphia and home, I went onto FaceBook randomly. It was 11pm. The Head Pan Pounder over at TerraTonz messaged me to call him. We talked until 4 am, setting up the future months of what would be the greatest adventure in drum healing history! Months prior, I had contacted a specialty drum maker to see if we could pull off a tree planting collaboration. The company had created an amazing specialty saucer StarSeed Tongue Drum for the talented percussionist/drummer of the Grateful Dead, Mickey Hart. Due to unforseen events, Mickey was not able to accept the instrument at a convention, so a challenge was presented. 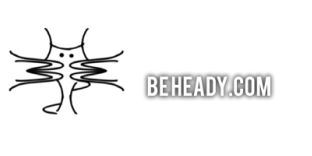 Get the drum signed, and it would be turned over to "Be Heady" to be used for non-profit. Meeting Trees for the Future on Jam Cruise 4 in 2004, I saw a way I could help Earth while still making a living. I was selling clothing wholesale on Ebay and decided to plant 1 tree with every piece sold. 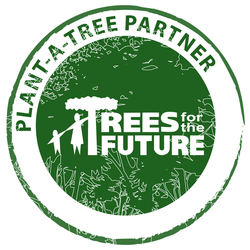 It costs Trees for the Future 10¢ per tree, so I was planting 10 trees with every $1 donation. In 2009, after my father Robert Lewis Buehler passed away, I wanted to honor his memory with a tree planting Project. Naturally, I choose to raise funds with Trees for the Future.. Throughout the Festival season 2011-2012, I participated in many collaborations to raise tree funds. We planted a tree for every ticket sold to the 2011 Allgood music festival, planting over 30,000 trees in 1 weekend!